NOTE: Prime dates still available for spring and Summer 2019!! Home is ideal for Spring/Fall holidays and weekends too! Lots of bedrooms, new chefs kitchen to prepare holiday meals and large dining area. 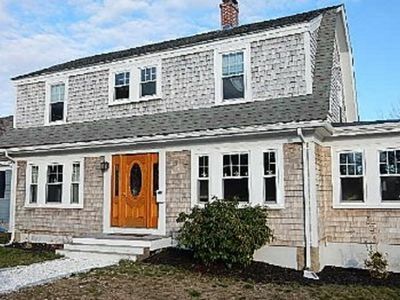 Google "New Seabury Vacation Homes" for more detail! A one-of-a-kind destination - no compromises! 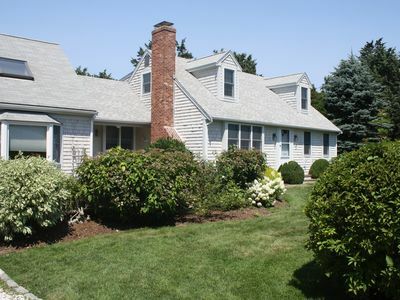 Newly Renovated, Large home with Private Beach in Popponesset Beach / New Seabury Resort area. This home has it all within walking distance: private beach, shops, restaurants, outdoor concerts, mini-golf, trails and gardens. Home is on a safe, quiet street with no thru traffic. Community pool at The Cape Club is also available (Ask for details). 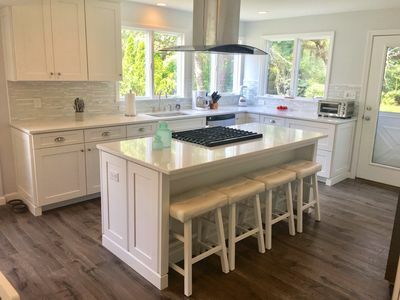 4-minute walk to Private Ocean Beach, 4 minute walk to Popponesset Community Center, 8-10 minute walk to Popponesset Marketplace and Popponesset Inn. 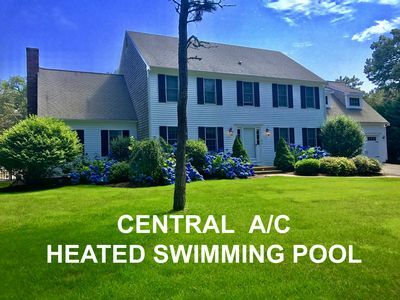 Heated Pool is also available to guests. Ask owner for details. Home just completed an extensive renovation! 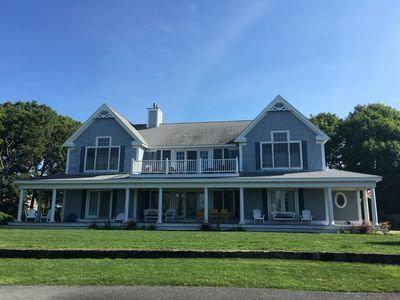 It is a blend of Old Cape Cod charm and new, modern conveniences: Hardwood floors, cathedral ceilings, new appliances, baths, kitchens, furniture, electronics, bedding and gardens. 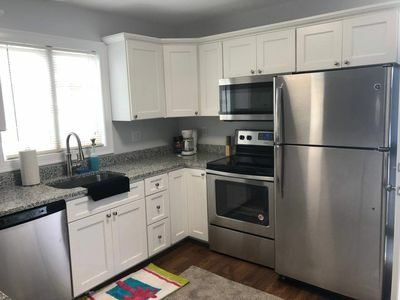 Home has Central A/C, 2 Smart HDTVs with cable, upgraded hi-speed wireless internet, hot/cold outdoor shower, patio furniture, crib for children, gas grill, beach chairs, beach carts & umbrellas. Linens & towels are included. - 100% New, Large open family room with cathedral ceilings new 55" 4K Smart HDTV and new beachy furniture. 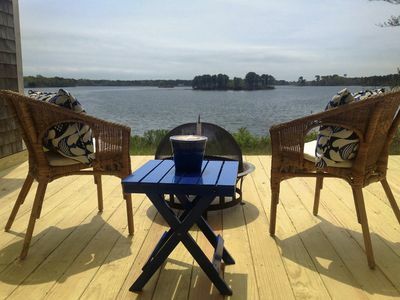 - Large pergola & outdoor patio area with new Teak patio furniture, gas grill and new outdoor hot/cold shower. 100% New bathroom with double sinks and Silestone tops. 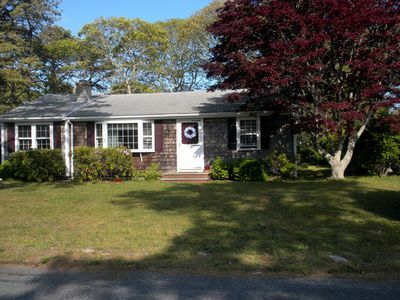 Google "New Seabury Vacation Homes" for lots more detail! 1) Our private ocean beach with water that gets above 70F in the summer. Roll the beach cart (provided) down the path and right onto the sand. 2) The quaint and always-hopping Popponesset Marketplace for shopping, food, mini golf, children’s activities and live outdoor music. Dance with the family under the stars all night long at the Marketplace to live outdoor music nightly (Thu-Sun). 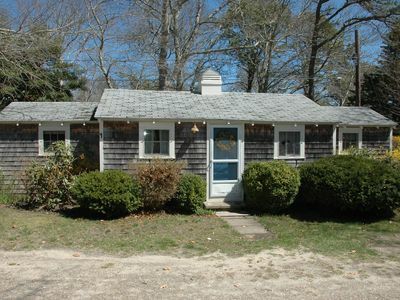 3) The gorgeous Popponesset Inn and Lure Raw Bar for direct waterfront dining for lunch or dinner. The gorgeous Popponesset / New Seabury bike/walking path is right outside your door. It winds thru lush landscape past gardens, forests, golf courses, and incredible ocean vistas. A 20 Minute walk past the village, gardens and golf course takes you to New Seabury’s new Clubhouse Restaurant for another great choice in upscale dining. 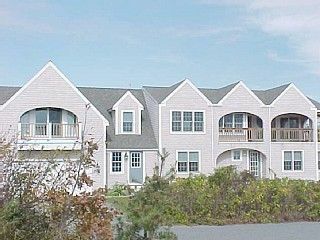 It has breathtaking views of the golf course, Atlantic Ocean and Marthas Vineyard. A 5 minute drive to Cape Cod Children’s Museum - right outside the New Seabury / Popponesset gate. A 5 minute drive to upscale Mashpee Commons a 30-acre New England village which features 90+ shops, a movie theater, concerts, family entertainment and restaurants, nightlife, and the Boch Performing Arts Center. 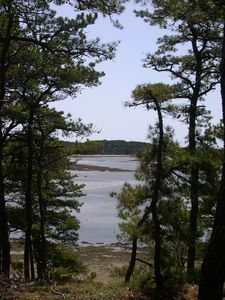 The Falmouth/ Edgartown Martha’s Vineyard Ferry is a 15 minute drive for an easy day trip to the Vineyard. - Just 15 minutes over the Bourne Bridge, 70 miles from Boston and Providence, you can avoid the Sagamore Bridge and Route 6 traffic. 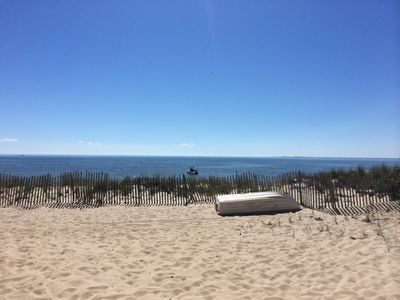 - Our direct ocean-facing sandy beach gets 70+ degree, calm waters in summer. Don’t settle for a rocky beach or cold, rough water! - Popponesset / New Seabury is in the town of Mashpee. 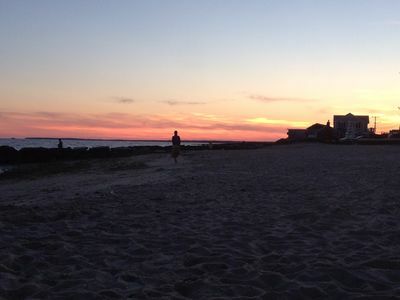 Mashpee Commons has the best shopping and restaurants on Cape Cod. o 2 minute walk to the Popponesset Community Center, - a fantastic place where kids of all ages can play sports, do arts & crafts, etc. and have a blast! 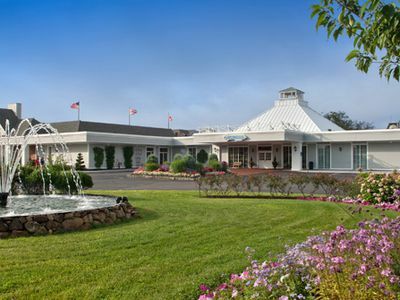 o Manicured, mature landscaping and blooming flowers everywhere. I RESPOND QUICKLY, OFTEN WITHIN MINUTES. EMAIL ME WITH ANY QUESTIONS VIA THE BLUE "CONTACT OWNER" LINK BELOW THE YELLOW "REQUEST TO BOOK" TAB. 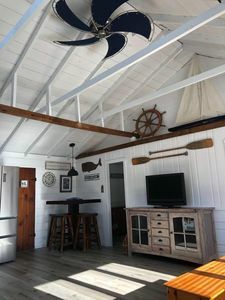 Or Google "NewSeaburyVacationHomes" for more info! 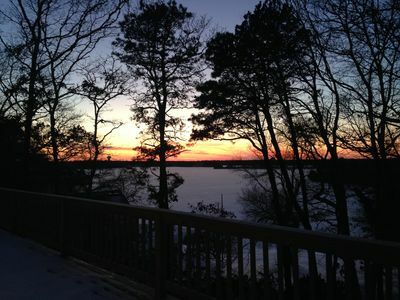 Beautiful Views of Lewis Bay from Contemporary Home! 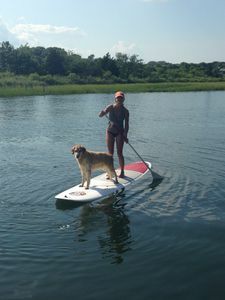 All day sun and waterfront fun! 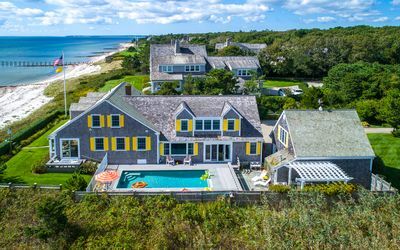 Perfect Cape Cod Summer Retreat. 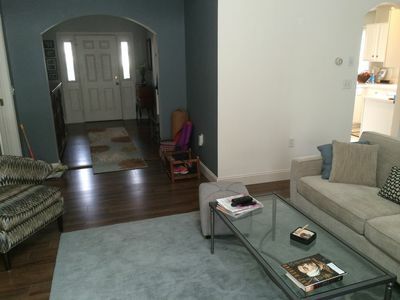 Beautiful Townhome with pool and tennis. 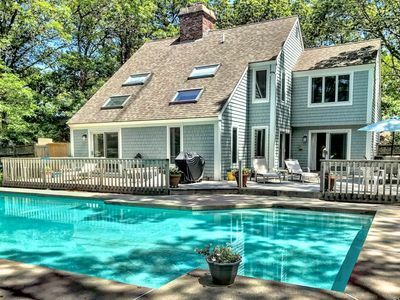 Seaside Charm in Osterville with heated pool and private beach. 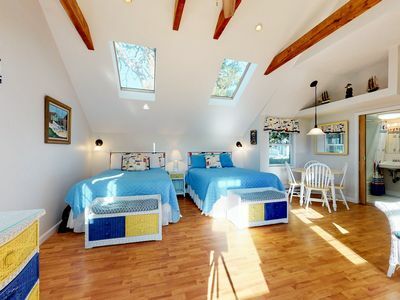 Newly-Renovated Cottage, Steps to the Beach!